Posted on Thursday, March 24th, 2016 at 7:46 pm. A new peaceful garden has been unveiled at the Princess Royal Hospital (PRH) in Telford to benefit patients, staff and visitors as part of events to mark NHS Sustainability Day. 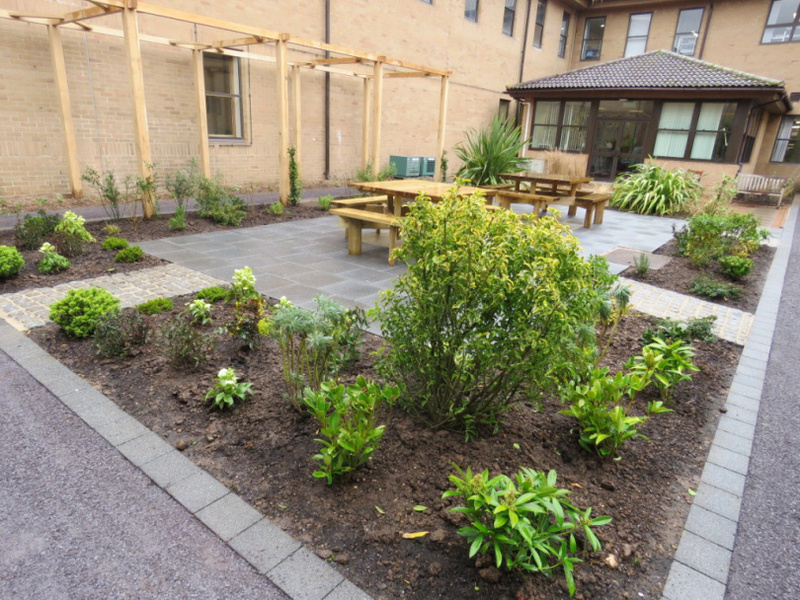 The Boningale Garden of Tranquillity, near the Macmillan Unit and Haematology Clinic, is the third garden to be opened at PRH following the creation of the Memory Garden and Garden of Reflection last year. 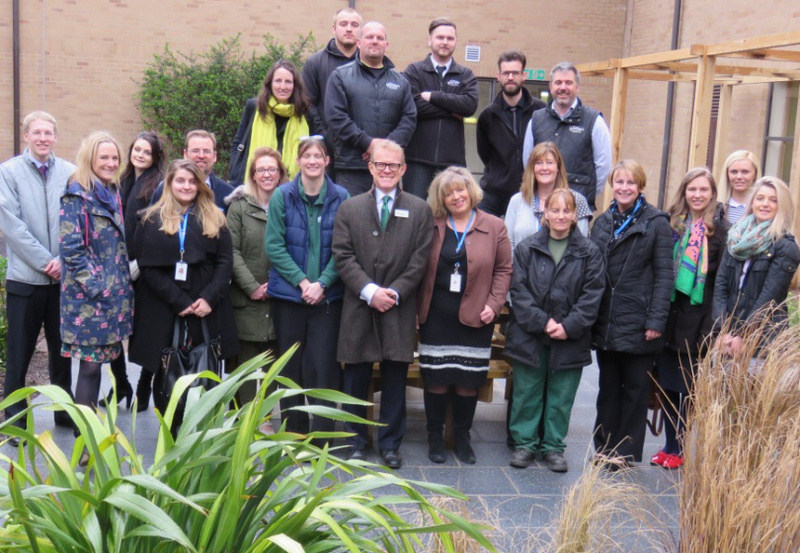 Each of the three gardens has transformed one of the courtyards at PRH to bring them into use for the benefit of patients, staff and members of the public. Julia Clarke, Director of Corporate Governance at The Shrewsbury and Telford Hospital NHS Trust which runs PRH, said: “As a Trust we feel we have a major role to play in looking after our environment and take our sustainability efforts seriously. “Today we marked NHS Sustainability Day with a range of events to provide information about our sustainability programme for patients, visitors and staff. “People had the opportunity to find out how we recycle our domestic waste, talk to the Wildlife Trust about how we’re using our grounds for conservation, and get a security stamp on their bike by British Transport Police. “The centrepiece of today’s events was the opening of the Boningale Garden of Tranquillity, our third courtyard garden at PRH. “The garden has been completely redeveloped, at no cost to the Trust, thanks to the generosity of Boningale Garden Creations and other businesses, as well as the fantastic support of volunteers who planted the area. The following organisations made generous donations of time and resources: Border Harwood Ltd, Breedon Aggregates, Brewin Dolphin, David Wilson Homes, all pump solutions LLP.